So Tuesday begins the nexus of the presidential election and the troubling times for the stock markets. A majority of Americans will start looking more closely at the candidates. With the polarization of these two candidates, the undecided may be the majority of the populace. But now is the time for them to figure out what they will do — whether pick a candidate or choose to stay away from the ballot box. I tell people if I could get on the ballot, I would run as “None of the above” and would probably win in a landslide. LOL. Nevertheless looking at the most important issue for corporate America, which is global free trade, there appears to be a divide between Donald Trump and Hillary Clinton from an economic sense when it comes to trade agreements. The outcome of this issue may do more than any other for the majority of Americans suffering today economically. Assuming a Clinton White House would be an Obama 2.0 administration is probably not too much of stretch. Clinton has to run on the Obama “miracle”. I believe if the economy is an important issue for you, then this stance has to be a non-starter, since the only “miracle” is that the ATMs worked throughout Obama’s tenure. However, Obama and Clinton by extension, are both firmly on board for a globalist perspective when it comes to trade pacts. Looking at the Trump campaign for an economic direction you see a more nationalistic bent calling these trade pacts into question. Trump’s rhetoric of bringing jobs back to the US through smart trade pacts, harkens to the forces behind Brexit. Now whether the Trump campaign can renegotiate these trade pacts is certainly in question. I believe his trade rhetoric is the principle reason Trump does not have the backing of many Republicans, although these backers use other negatives to say why they are not backing his presidential run. It’s such an important issue for corporate America, that these globalists would back Clinton — warts and all — to move their globalist agenda forward. So how does the resolution of this issue play out for the average American. In simplest terms the passage of past trade pacts have seen good-paying, middle-class jobs leaving the US to be replaced with lower paying service industry jobs. Bartenders, waiters and waitresses, at-home health care workers and social workers. All viable jobs for people who wish to do them, however if you have no other choices than these jobs, then the economy suffers. 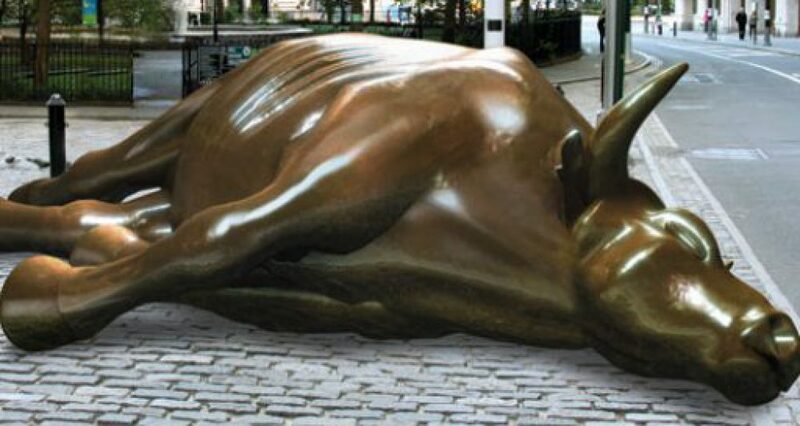 This is what the US economy has limped along with over the last eight years. When manufacturing jobs move to another country to save money for the company, those displaced workers have moved down the economic ladder to become a greeter at Wal-Mart or a check out clerk at the local convenience store. So on this Labor Day, one of the biggest issues for the average American is jobs. Not so much the quantity of jobs, which the Democrats like to point out, but the quality of those jobs to keep Americans in their homes and allowing for a middle class existence. I don’t think we have a definitive answer as to which candidate will do right by the American worker. Trump might, but he may need to move off that stance in an attempt to unite the party and get additional donations into his coffers. But I believe it should be the issue more Americans focus on than all the others. It plays into what your quality of life will be going forward. This entry was posted in economy, Uncategorized and tagged Brexit, Clinton, globalists, Labor Day, quality jobs, quantity of jobs, TPP, trade agreements, trade pacts, Trump by Michael Gray. Bookmark the permalink.